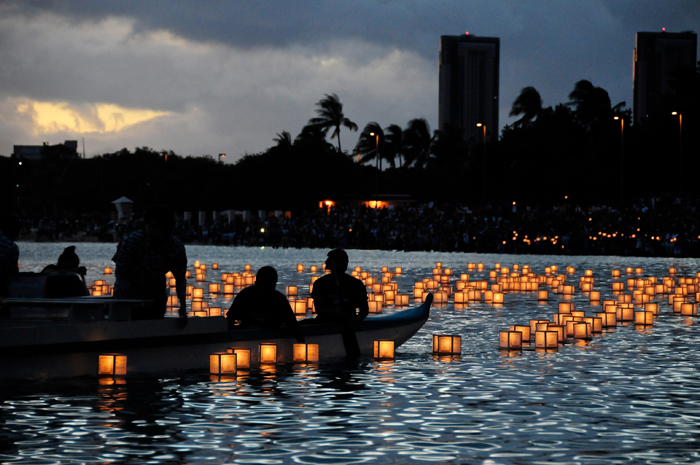 On Memorial Day 40,000 residents and visitors gather where the sand meets the sea along Ala Moana Beach and Magic Island for the annual Lantern Floating Hawaii event of remembrance and renewal. 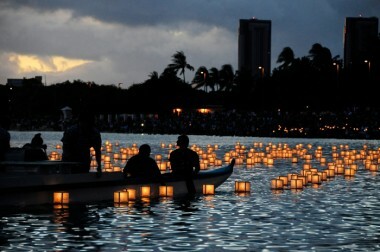 3,500 floating lanterns with flickering flames were released on the water at sunset in honor of loved ones who have passed or as symbolic prayer for a harmonious and peaceful future. Each represents a spirit, a message, someone’s story sent out to sea. The 2012 theme for the 14th annual event was Many Rivers, One Ocean.